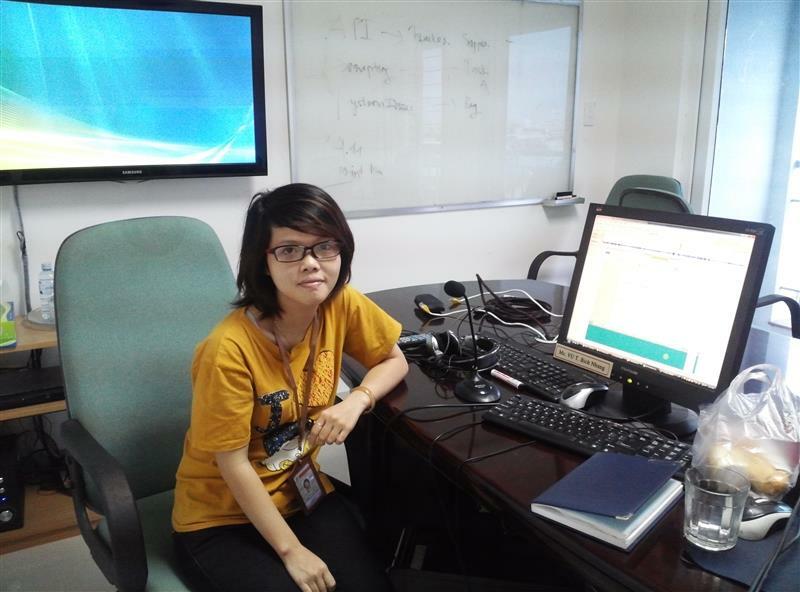 My name is Trinh and my colleagues always call me is Jane at company. I have graduated at Duy Tan University in 2012 with Information System Major at International School. I have been working at Enclave for more than 2 years after graduating. Currently, my position is software engineer (SW2). I have worked for 4-5 projects with many different roles: tester, developer and leader. My team have applied Scrum process on project: always meeting everyday, assign task and raise issues if having... we using the English during the work, during the office and each person works to client directly. Until now, I'm very happy to my job and work environment. They are not only helping me improve the IT skills, but also familiar to with professional environment. - It helped me improve all English skills through by lessons, exercises and small projects. - Beside learned about IT skills, I had to a chance to study software skills: teamwork, presentation and management time, schedule... which all company are requiring the student after graduating now. - From the program, I had a opportunity to practice real project, joined on th internship at big Software Company and work after graduating. - From this environment, helped us become active, know how to resolve the problem soon and applied on our work. - I got the support/teaching from my hark-work professor/teacher – they are friendly, enthusiastic and very nice. They are always ready help us when necessary. However, because it was the new program was applied in Vietnam when I was studying. So, the program still had some weakness such require English too much for student, the schedule for lessons was too short so sometimes I didn't have enough time to prepare before went to class. But I think they are simple and will better than in the future. It is a good program and helpful to us have enough knowledge, skills to begin a work.